Victory for Lewisham Hospital campaign! Rejoice, rejoice! The Save Lewisham Hospital campaign has been waiting on tenderhooks for a judgement since taking the fight to the High Court to challenge the Secretary of State's decision to downgrade Lewisham hospital. Today, the High Court announced that Jeremy Hunt had acted outside his powers and therefore unlawfully, in deciding to substantially cut services and close departments at Lewisham. Well done, everyone! Read more on the Save Lewisham Hospital website. Krom Balgesky is a Bulgarian artist working in Deptford. 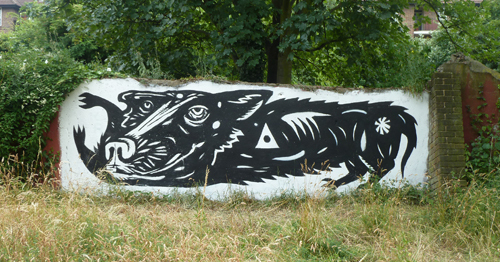 His striking outdoor drawings are popping up all over the place (here in the Sue Godfrey Nature Park, for instance). 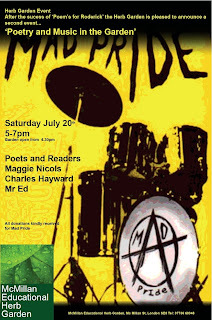 On Friday 26th July he'll be showing his work indoors at the Arthub Gallery (5-9 Creekside). Open from 6pm, with a 'performance' at 7pm. Friday is also South London Art Map's late opening night, with galleries in Deptford, Bankside and Peckham open 6-8pm. At Occupy My Time gallery in Resolution Way, artist Andy Wicks will be focusing on the history of the Thames and its relationship to Deptford. More info at South London Art Map. "What, leave tenants' doors open when no one is there? No, not us, we'd never do that, we're last to leave the site, and we clean up and lock up after ourselves." 1am, Wednesday. MITIE compound free-for-all. Come on down. These guys can't even be bothered to lock up after themselves. Sorry, did I hear you say "ring their 'out of hours' number and let them know"? Shall we go through their complaints procedure? Why not? That way no one would ever know anything had not gone according to procedure. 6am. All quiet. (Of course it is, apart from the magpies). This is a nice estate where you can leave your doors open and not expect anything untoward to happen. A Castell House resident yesterday discovered her car's rear window smashed in. The accident was witnessed by a ground floor tenant having works done. Whilst drilling a hole out for a new boiler flu, the drill bit flew out and smashed into the car. Luckily no one was hurt. Meanwhile, cement has been pouring through the ceiling of another Castell House resident from the flat above, forming a hardened pile on the toilet floor... Lovely. Deptford is the focus of next weekend at the Royal Festival Hall, with many local organisations and artists taking part in performances, an art exhibition and an Ideas Market. Visit a replica of the Deptford Anchor by artist Laura X Carlé and leave your thoughts! Deptford's creative organisations set up their stalls (also featuring The Lenox Project who want to build a replica 17th century ship at Convoys Wharf). If you're missing the train cafe terrace in this lovely weather, you'll be pleased to know it will be open on Wednesdays, Fridays and Saturdays for the next four weeks. Meanwhile, Lewisham Council is conducting a feasibility study on the logistics of relocating the carriage to Douglas Square. The results of this will be known soon. The picture above was taken by Sarah Lee for a recent Guardian feature Ten British restaurants with unusual histories. In 2014 trains will have been running for 150 years between Charing Cross and Deptford. Unfortunately, it may also be the last year as, from January 2015, there are plans to stop all direct trains to Waterloo East and Charing Cross, with all services diverted into Cannon Street. Even worse, for three years until the beginning of 2018, it will not even be possible to change trains at London Bridge for a Southeastern service to these stations. This is all a consequence of the Thameslink programme, a £6bn Government-funded scheme to improve capacity on the Thameslink route through the re-building of London Bridge. This programme means that from January 2015 until August 2016 no Charing Cross trains will call at London Bridge. From August 2016 to early 2018 no Cannon Street trains will call at London Bridge, meaning that when you get on a London-bound train at Deptford it will whisk (or trundle) you to Cannon Street but nowhere else. And it is no use walking to New Cross, as that station is also affected the same way. Once the work is complete, it will once again be possible to change at London Bridge, but there will be no physical track connection that will enable trains to reach Charing Cross. So, after 150 years, the West End will no longer be reached by direct trains. The Greenwich Line Users’ Group has been formed to represent the interests of all passengers who use the Greenwich Line. Whilst we recognise that the work at London Bridge will bring about many improvements for passengers generally, it will disadvantage users of the Greenwich Line. Our objective is to remove that disadvantage. Insufficient thought has been given by the Department for Transport to the impact on the Greenwich Line and the possible ways in which direct Charing Cross services could be maintained. Cannon Street is a fine station for the City, but hopeless for getting to and from the West End. The Group will be lobbying the Department for Transport, Network Rail and Southeastern trains for a service that meets the needs of South East Londoners. The Users’ Group can be contacted at greenwichline@outlook.com. We will be happy to receive your comments or questions. UPDATES: the bad room tax and High and Mitie. As Lewisham/Lewisham Homes lost my forms for ''underoccupation'' back at the very beginning of May, it has taken until today for me get my application processed. But, because the council have evidence of me ''being on the transfer list for a suitably sized property'' they have awarded a Discretionary Housing Payment. It's not a full rebate on the unrebated amount but it gets me closer to survival, and staves off eviction. The fact that back in 1984 the flat was not considered unsuitably sized, and the fact that I have to be actively searching for a smaller property that, more likely than not, will cost more in public subsidy than the present one is costing, that there are publicly funded grants for removal payments, redirection of mail, payments for removing and reinstalling cookers and washing machines, phone connection, an assistance payment of £300 for the extra room I'm giving up - in short, that all this extra public expense to move someone against their will to a more expensive smaller property - does not seem to have occurred to any of those with a responsibility to keep down public expenses. Following the transfer list path won't solve everybody's problem but it may be worth it for some. Housing policy: you know it makes no sense. Please could you contact me to clarify the issues so that I can ensure this is dealt with properly? Mitie are delivering us a full report on all the issues you've detailed. You have had an unfortunate run of luck it has to be said. I'll give you a call on Monday to see how things are if that's ok? As that call never materialised I assume she considers it job done. Whatever you do beware of people offering to get things ''dealt with properly'' or dealing with Mitie's Property Services people. Their interest is not the tenants, job done for them is circumventing the complaints procedure and managing reputation. At least go through the ''proper'' complaints channels or email the blog and we'll try to help. For full listings and times of what's on, go to the page on the council's website and click on the items in the left hand panel. We Will Be Heard have been inviting anyone who's been affected by the Bedroom Tax to write a letter to the Prime Minister, and copy it to their campaign, so that they can add it to the Personal Petition they will deliver to the PM on Saturday. Unfortunately the deadline is today, but perhaps they will accept late entries! I am a carer for my Aunt who is 92. She has glaucoma and is almost blind. Her mobility is very bad and she is in a lot of pain. I am with her every day for five hours or more and as she is housebound I do all her chores, shopping, hospital visits etc. I exist on carers allowance and income support and get housing benefit. I share a council house with my brother, who works and pays half the rent. We have lived here for 35 years. As the property has 3 bedrooms and we only use two, I will have to pay bedroom tax out of the paltry amount of money I am expected to live on. Downsizing is not an option as the reason I am able to look after my Aunt is that she lives in the next street and I can be there in minutes. My brother and myself have saved the government thousands of pounds by looking after my Aunt and my mother, when she was alive, in their own home. I do all this work for about £1.50 an hour, which is what these benefits work out to, and now we are getting kicked in the teeth by this government. I phoned the DWP and was told the cut in housing benefit was an incentive to look for work. I pointed out I was a carer and was met with silence. I was wondering where you and the Labour party stood on this very depressing matter? I agree with him and I hope that this reassures you as to where I and the Labour Party stand. With regard to your own case, have you been in touch with the council about your circumstances? Unfortunately, Lewisham Council has not been particularly proactive in finding ways round the Bedroom Tax. It should follow the lead of Leeds Council who have found a loophole: it is reclassifying rooms in its social housing as 'non specific'. It has identified 837 spare bedrooms, and people who have already lost out because of the tax will be refunded. They say it would cost the council more to chase up rent arrears and evict people. Read the recent Telegraph story. This Saturday campaigners will also be remembering the grandmother who took her own life and left a suicide note blaming the bedroom tax. Read the Newstatesman story. There is also a Facebook group for the campaign. Bedroom taxidermists - who's stuffing who? So, being unemployed and therefore dependent on the state, I eventually gave up waiting for Lewisham Homes to process (or lose) my ''underoccupation'' forms and went down to the Trading Places event held at the Civic Centre in Catford to see what kind of properties came up. You see, I've had £15 knocked off my benefit each week because the flat I've lived in for 29 years, which was let to me as a single person in the olden days when the estate was ''hard to let,'' was originally designated as having 2 bedrooms. Sooner or later, I'm going to start getting letters about arrears, threats of eviction leading inevitably to eviction proper. Because, maybe I should be able to but I can't live, light and heat my flat on £50 a week. A Saturday morning, take my bike from the study - sorry spare bedroom, because there's no safe provision for bikes outside, or indeed any storage room whatsoever, and cycle down to Catford. As my 80-year old mother lives just over the Ha'penny Hatch and I don't run a car, I don't want to go too far out of the area where I've lived for 45 years, and I need to be able to get there quickly as she grows frailer. Right, I set to searching for nearby one bedroom flats with owners wishing to move to two bedroom flats. And, guess what, all the one bedroom flats available bar one were more expensive than the flat where I am now. The only cheaper place was a tenant on the 4th floor of another Crossfields flat. I contact the tenant but my flat, also top floor, was unsuitable because of the difficulties getting shopping and children and buggies, etc, up the stairs. Clearly they need somewhere closer to the ground. Or a lift. It looks like, in order to save money from the housing benefit bill, they've come up with the so called bedroom tax, but the only smaller places coming up on offer are more expensive, so the housing benefit bill will increase, on the smaller flat because the bedroom tax doesn't apply, and if my 2 bedroom flat is let to a claimant with children, then the bedroom tax won't apply here either. It's the tax payer who ends up paying more. Ironically, a big part of the reason I never bought my flat at a discounted rate (when I was earning money and had good health) was because I believe in social housing. But this is not so for many others and I believe a good number of smaller flats around here have disappeared from social housing altogether. New social housing stock has not replaced them either. The result for me: no security of tenure, nowhere cheaper to go to, potential loss of the home where I've lived for a tad under 30 years, potential loss of quick access to my elderly mother. The personal solution, of course, is to simply move somewhere more expensive but, with the meds for my dodgy kidney, I'm unlikely to be in full time work for a while and the increased financial burden will fall on, well, you all. You'd think that Lewisham Homes would help tenants out on this one. Indeed, they appear to have paid someone to come in on a Saturday morning to phone round tenants in April this year. And post the application forms for the underoccupation scheme - help with removals, etc. But, having filled in the forms, physically delivered them to the address on the forms (Eros House) and got a date-stamped photocopy of them, those forms – together with personal passport details and billing details – never got to where they were supposed to. The lack of care over personal information, in an age of identity theft, is truly astonishing, but that's by the by. So more forms posted out, more journeys, this time to the Pepys Housing Office back near the beginning of June. Since then, nothing. The fruit of 2 journeys to Catford, 2 journeys to Pepys, postage costs, form printing, photocopying, paying overtime for weekend office work, and dealing with an increasingly irate Marmoset is absolutely zero. Well, it's less than zero, actually, because someone has to pay for all that. I wonder who. The final event of the Rivers and People Project celebrates its three year duration with crab races, wildflower bingo, traditional fairground games and food – including barbecue and cake – plus puppet theatre Monkey Biz. All welcome. 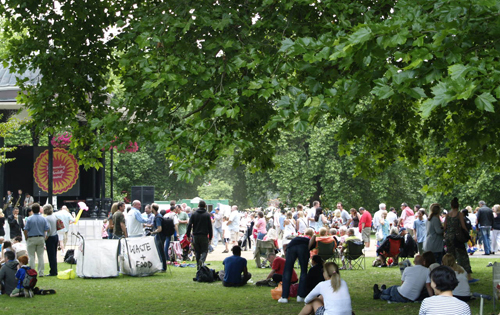 A free family event around the bandstand in Southwark Park with live music, a second-hand and vintage market, licensed bar and Bond’s Victorian Funfair. Local young people will also be taking part in a parade and the Mind Your Own Business Live strand for teens includes a dance and music programme, advice on how to set up your own business, a giant climbing wall and a music bus. 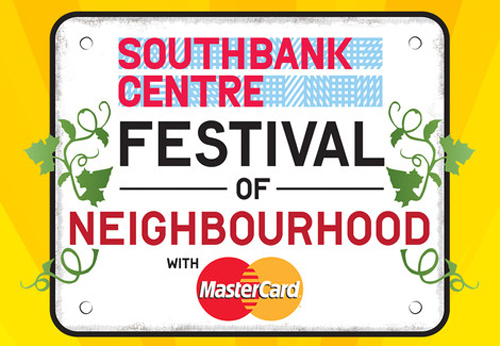 More info from Southwark Council. Note admission policy: no dogs, alcohol, bikes, drugs, weapons or glass. 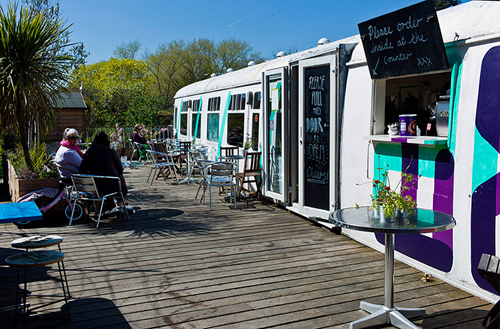 The future of the Train Café still hangs in the balance and depends very much on the will of the powers-that-be wanting to find a way for it to stay. However, the staff have already found new jobs, so the carriage may not be able to stay open much longer in its present location. 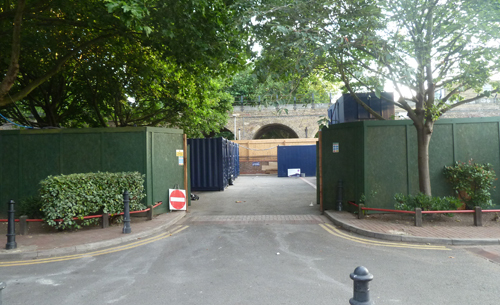 (See our previous post Wave goodbye to the Deptford train cafe). Update: Last day of business is Saturday 6th July. Meanwhile the artists and businesses who have been occupying the development site are on the move. 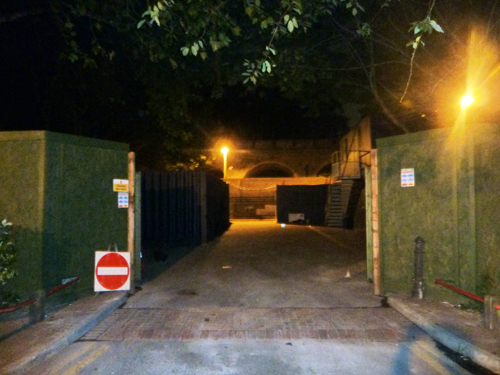 Those at Deptford Project Arches (behind the train) must be out by Sunday. Studio Raw have just relocated their container to the old Tidemill school playground. Union Cycle Works are keeping their new location under their hat. Borohome.co.uk (aka Boro) have not yet found a suitable new home. 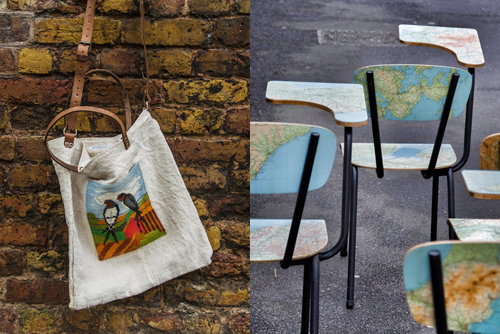 They are brilliant recyclers (or upcyclers to use the fashionable term) and make old objects beautifully new again, specialising in furniture (tables and chairs), textiles (great bags! ), jewellery and other objects. Check out their Closing Down Sale at their Arch on Friday 5th (midday – 5ish) and Saturday 6th (10am–5pm). 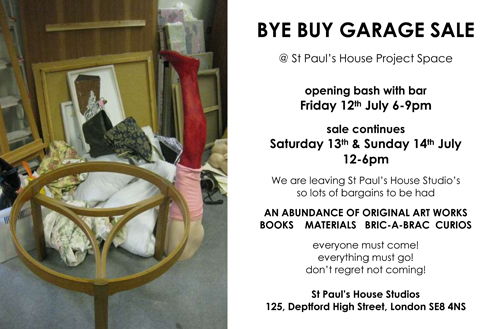 Some of the sale items will be the oddities they have collected for projects never brought to fruition, but there will also be the chance to grab something at a greatly reduced price from the range of upcycled items they sell at Columbia Road. Everything must go! Also see The Deptford Dame's latest news on this development: Cathedral's Richard Rogers-designed Deptford Project (or Deptford Rise, as their partners Union House call it) might be downgraded a bit now that Rogers' firm has pulled out from taking the project through to completion, and a cheaper architect takes over.